Red Robin Gourmet Burgers and Brews is fueled up and ready to hit the open road. 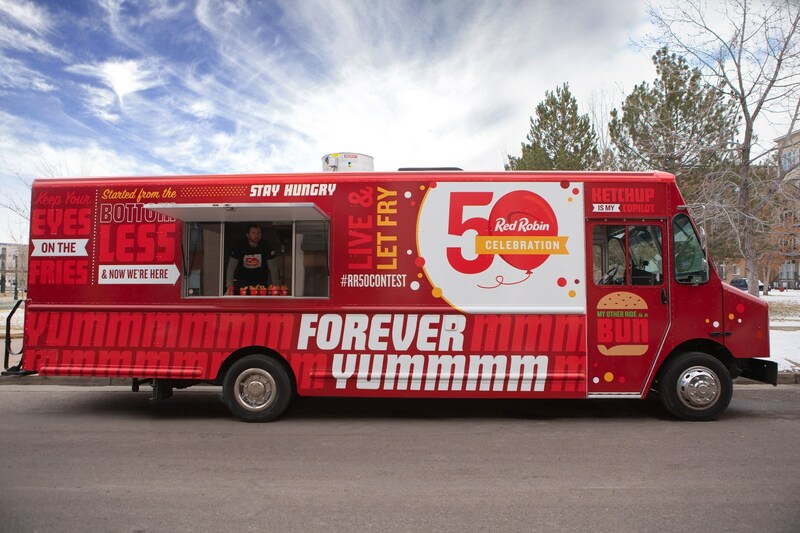 The casual dining restaurant famous for serving more than two dozen craveable, high-quality burgers and bottomless sides is kicking off its 50th Anniversary Celebration with the Forever Yummm Food Truck Tour. The custom-built truck is embarking on a three-and-a-half-month, 9-state tour to treat fans to free samples of Red Robin's signature steak fries, a guest favorite for five decades.